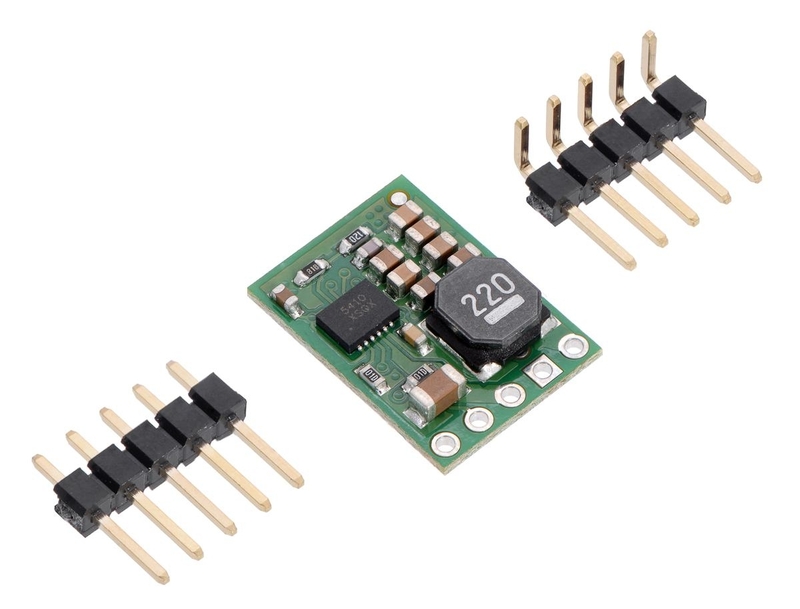 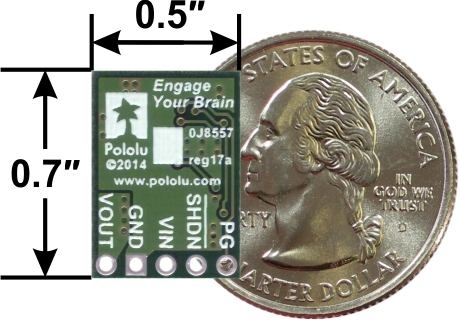 The compact (0.5"× 0.7") D24V10F9 synchronous buck voltage regulator takes an input voltage of up to 36 V and efficiently reduces it to 9V while allowing for a maximum output current of 1 A. 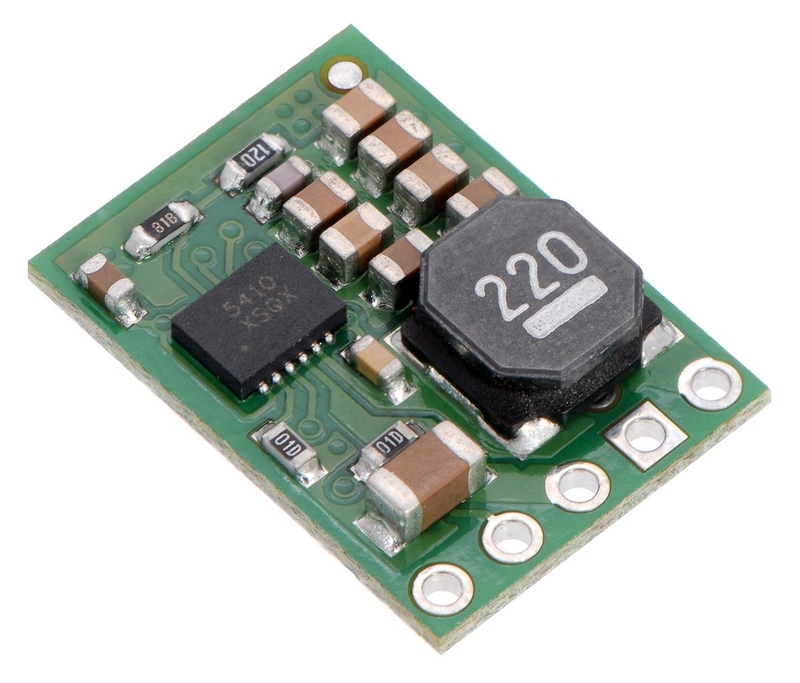 This regulator offers typical efficiencies between 80% and 90% and has a very low dropout, so it can be used with input voltages as low as a few hundred millivolts above 9V. 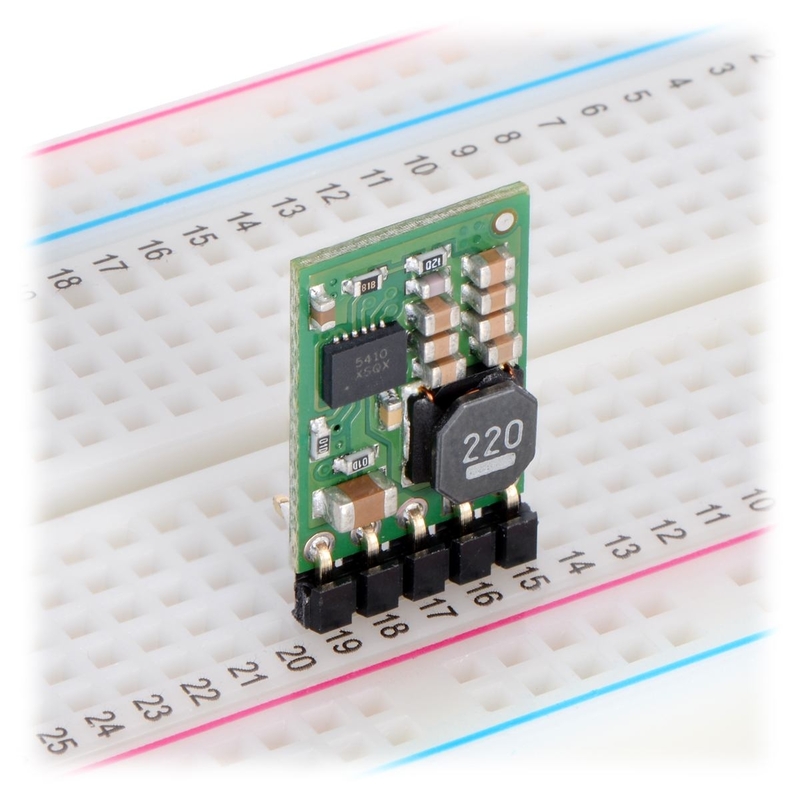 The pins have a 0.1" spacing, making this board compatible with standard solderless breadboards and perfboards.